Sorry I haven't been updating this space because I was less motivated with no inspiration on what to blog about. I'm not sure if what I blog is interesting enough to keep readers visiting but I shall do what I love doing. Even if it meant uninteresting posts, I will keep posting on what I want to so sorry if it bores you. Before I start, I'd like to sidetrack and mention that there is another local drama series worth catching, The Dream Makers. 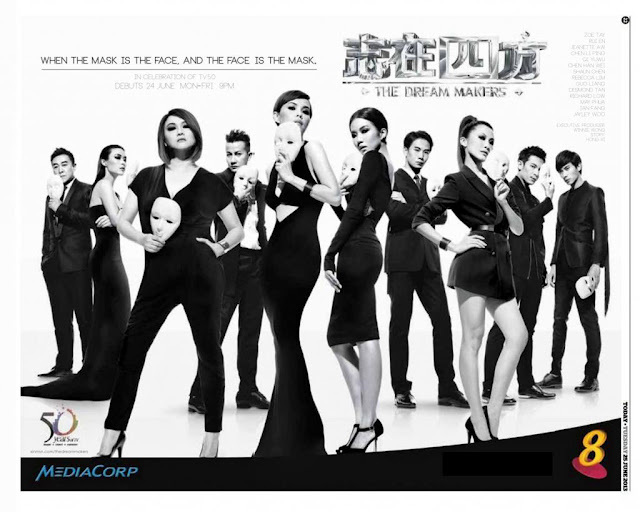 All the casts are like the few of the best actors and actresses in Mediacorp. And the show is really good. Maybe a little over the top but worth watching, in my opinion that is. I love that quote, "when the mask is the face, and the face is the mask." Sounds like the people and reality these days huh. Time flies and half of the year is gone. It's the beginning of the second half and I'm 7 months pregnant now and not too long till the little one will be out in this world. 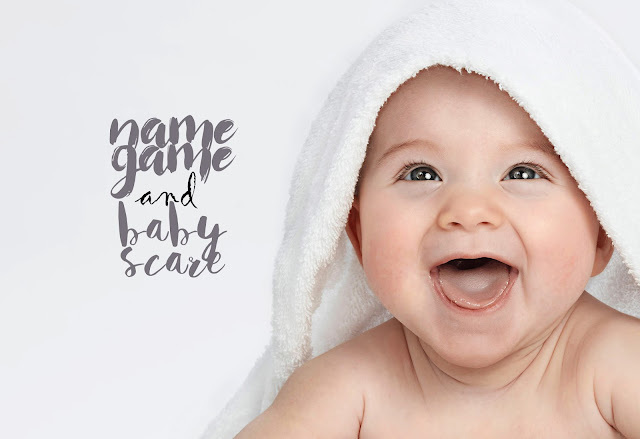 We have already thought of his name after countless names we couldn't agree on. The name is Kaizer Naghibi. Chinese name will be 凱哲 (kai zhe, so basically just a very direct translation from his English name). I don't know if he's going to have a Chinese surname. I've already kinda set my mind on this name but his father, my husband, is having second thoughts now because we actually got this name from his widely used username in all kinds of accounts and games, Lusterkaizer. He has been using this username since he was 14! Well it means he likes that name so I don't see what's wrong but he thinks his friends will laugh at him when they know our son's name will be named after his 10 year old username. And now, everyone who reads my blog knows hahahahaha! Just the day before yesterday, the little fella in my tummy decided to scare me by moving and kicking and nudging and God-knows-what-else-he's-doing excessively in there. Normally it can be constant for 1-2 hours and the movements are noticeable even on the outside with my clothes on but never that long. Since that afternoon after I vomited once (which I don't know why it happened too), he was moving so much and violently I can feel it even when I'm working. Usually I can't feel his movements when I'm walking around, working and all, but I can feel it so strongly that whole afternoon and evening I was working. Even at night when I was trying very hard to sleep, he was trashing around aggressively the whole night I started crying because it started to feel painful on the inside like it's bruising. It lasted all day and night until yesterday afternoon. I can't help but to google on excessive fetal movement. Read that a change (either a decrease or increase) in fetal movement pattern might indicate a problem developing or the fetus might be in distress e.g. umbilical cord wrapped around the neck so I started worrying. Told my husband we better go to the hospital for a check. I was still at home waiting for my mom to get back when he suddenly stopped moving. Like no movement at all. Despite agitating my belly, there was no slightest movement and coincidentally, when I took out my home fetal doppler, the battery was dead! Whenever I want to use it for comfort, it will work but just HAVE to die when I NEED to use it. 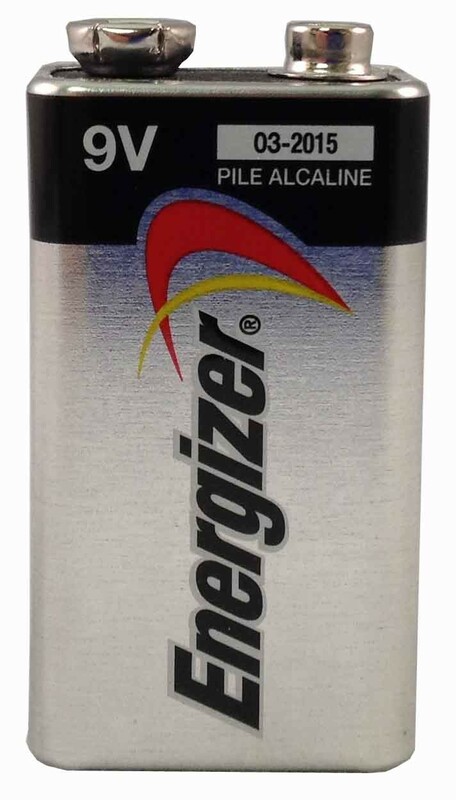 Worst is, that battery it uses is not the normal AA, AAA batteries but this! 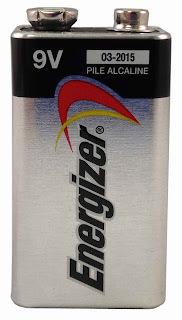 Difficult to find this battery as a spare at home. That made me worry even more. As unconventional as it might sound, I wanted my mother to bring me to see a medium first before I go to the hospital. Just in case it's really the cord wrapped situation and I have to do an emergency caesarean right there and then, at least I did something to try not to land in that worst case scenario. Went to see the medium and he said the little one is just playing boxing (he's a humorous medium) in my tummy and changing position. Then I said, "but the whole day and night?? And the kicks and punches were really violent", he said he's a very active one. Uh-oh! (I also read online that active male fetuses in the womb will be very active boys when they're born and the opposite for female.) So anyway, he said the little one is fine. He also added that he will look more like his dad, especially his eyes *phew! * and that he'll be a smart one in future. That sounds nice. Doctor said the little one is fine too judging from the heartbeat. Big relief. The little one is like my life now. I am only looking forward to his arrival. Here's a video of his little activity in my tummy.